The main part of the scarf is worked diagonally in a geometrical all-over pattern. 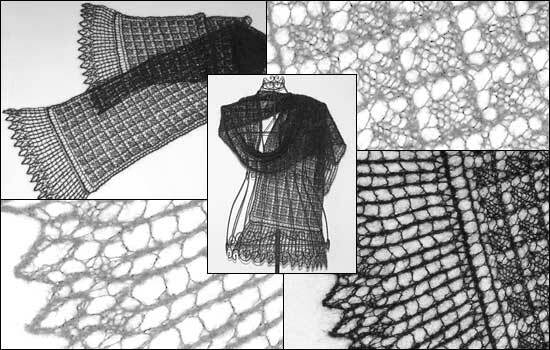 Then, the lace edging is added directly to the narrow sides of the shawl. There is no sewing or grafting required.